With California receiving billions in federal stimulus dollars, the chief watchdog on how the money gets spent is former Los Angeles Controller Laura Chick. Appointed by Gov. Schwarzenegger to the newly-created, $175,000 post of Inspector General in April, Chick earned a reputation in L.A. as a fearless advocate for transparency and propriety in spending public money, battling politicians from former Mayor Jim Kenny Hahn to City Attorney Rocky Delgadillo over her critical investigations of their operations. Amid ongoing debate about the effectiveness of the stimulus, and whether a second stimulus is necessary, Chick answered questions about the policy and her new post posed by Calbuzzer Susan Rose. 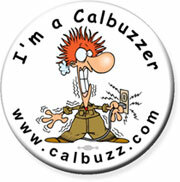 Calbuzz: How much stimulus money will come to state government and over what period of time? Laura Chick: Approximately $50 Billion will hit the streets of California. It has already started flowing and will continue throughout the year. CB: What does an Inspector General do? LC: An Inspector General is an independent entity charged with the oversight of how certain government dollars are spent. I describe my job as overseeing the stimulus funds this way: deter, detect and disclose any waste, fraud or abuse. CB: Do the Feds have a rulebook? How will you determine what is a legitimate use of state money and when it is misspent? LC: The Federal Government has very specific rules on how the dollars must be spent. I believe in addition to those rules the spending of these funds should pass the “public smell test.” I’m asking local governments and agencies to imagine that a front page story will appear in their local newspaper what they are spending the dollars on. If they spend a restless night’s sleep thinking about that, I say don’t do it. CB: How did you get the job of California Inspector General and how does it differ from Controller for the City of LA? LC: After the President signed the stimulus bill, Governor Schwarzenegger asked that I take the newly created job of Inspector General overseeing Recovery Act spending.. He impressed upon me that he is deadly serious that all of these dollars must be spent in the right way. He gave me a commitment that I would have total independence and that I would have all the resources needed to get the job done. This job is different from the position of City Controller in that it is not about auditing. The IG is about investigations, assessments and inspections in real-time. The Controller is Los Angeles’ chief auditor, and audits take a long time to complete. As IG, I am in there at the front end, hopefully catching problems before they occur. CB: What do you hope to accomplish in this new position? LC: By showing the public that government can spend their taxpayer dollars wisely and well, we can begin to restore people’s trust and confidence in government and get them believing that government can in fact, do things right.